Foreign companies wanting to settle in Limburg can now turn to a new Limburg business network: Smart Start Limburg. This network offers newcomers integral and adequate support in all areas that are important for the establishment of a new company. The website www.smartstartlimburg.com provides a complete overview of the network and its services and provides an easy gateway to Limburg for companies anywhere in the world. 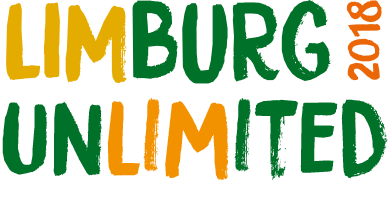 Smart Start Limburg will attend Limburg Unlimited on 28 and 29 March at the MECC Maastricht. At this event entrepreneurs, researchers, educational and governmental institutions and international parties with an interest in innovation and sustainable solutions catch up and exchange information. Smart Start Limburg is an initiative of six Limburg based companies that, each with their own expertise, have extensive experience in advising newcomers to the region. Delfin Corporate Services, for example, provides representation in the Netherlands and offers compliance services. PNO Consultants helps to find and apply for public funding. AchtenvanGent notarissen provides all notarial services and specializes in business law. Law firm Boels Zanders offers extensive legal expertise in areas such as real estate, mergers & acquisitions, privacy and employment law whereas RSM Netherlands offers accountancy and advice on tax, financial-economic and strategic issues. Peutz Advies provides support in the field of strategy and innovation. Because each party is strongly connected to the Limburg province, foreign parties cannot only finish the main procedures quickly and single-channel but can also count on support in making the right choices prior to establishing in Limburg. From their own broad networks, each affiliated member of Smart Start Limburg can also connect the newcomers with other relevant organizations and agencies. Limburg Unlimited is a new business platform that demonstrates the power of a healthy business climate, based on four themes: entrepreneurship, innovation, internationalization and working & learning. During the Limburg Unlimited event, on March 28 and 29 at the MECC Maastricht, Smart Start Limburg will provide a seminar on how to finance growth. The network is also present with a booth on the exhibition floor.